Hey guys! Happy Super Bowl Sunday! The game is on right now and I'm honestly in it only for Troy Aikman, Joe Buck, and the commercials. 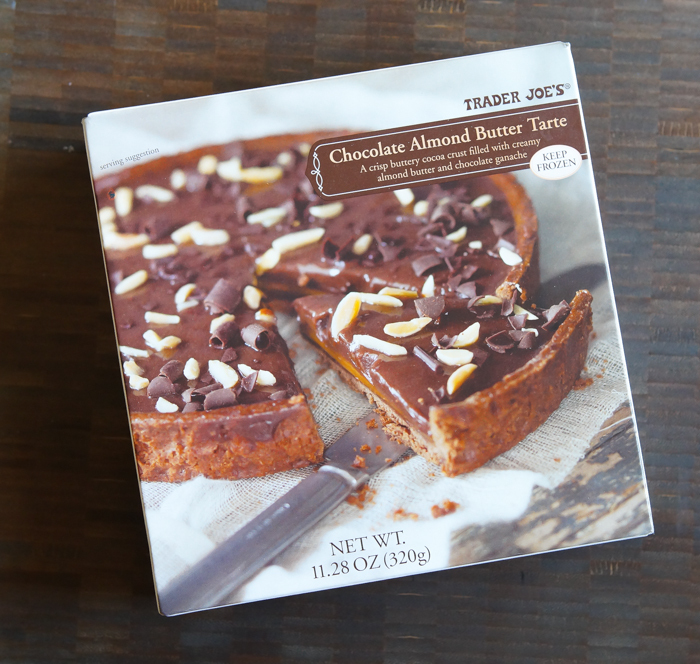 This evening we're reviewing Trader Joe's Chocolate Almond Butter Tarte. You'll find it in the freezer section. It's a product of France, y'all. 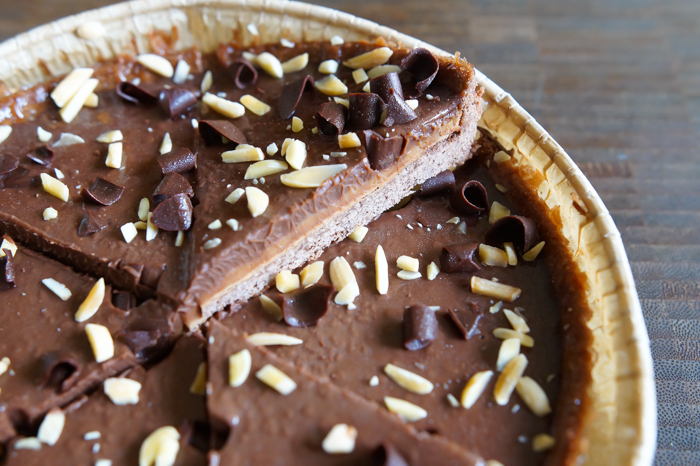 The description on the box reads, " a crisp buttery cocoa crust filled with creamy almond butter and chocolate ganache." One tarte (serving size says 4) costs $5.99. A mom's (my) take: Rich. This is definitely rich. I'm not mad at this tarte; I just don't love it. There's a taste here that I just can't put my finger on that I didn't enjoy...almost a burnt flavor? 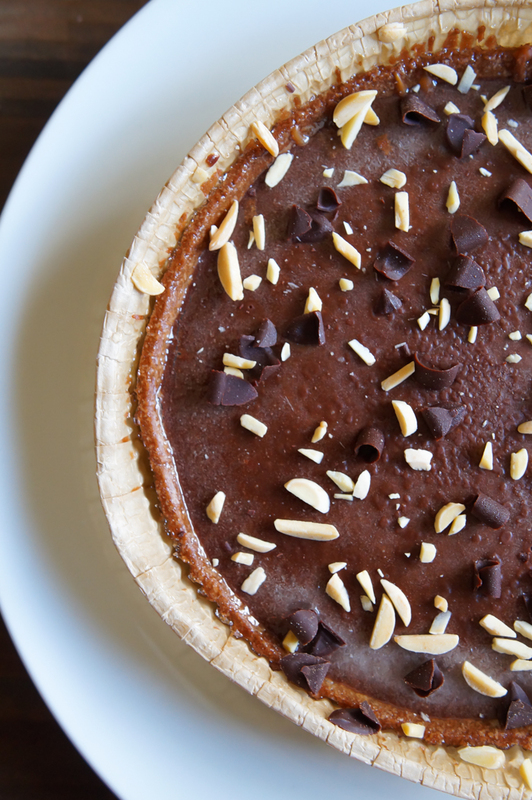 I eat a LOT of almond butter...often with a few Ghirardelli bittersweet chocolate chips, and I prefer that combo to this tarte. Maybe my palate is so used to the particular almond butter and chocolate that I usually eat that anything else tastes wrong. A teenager's (Jack's) take: This was excellent! The base isn't too mushy, nor is it too difficult to eat or cut. For my personal taste, it was a bit too creamy (but that's just my opinion). 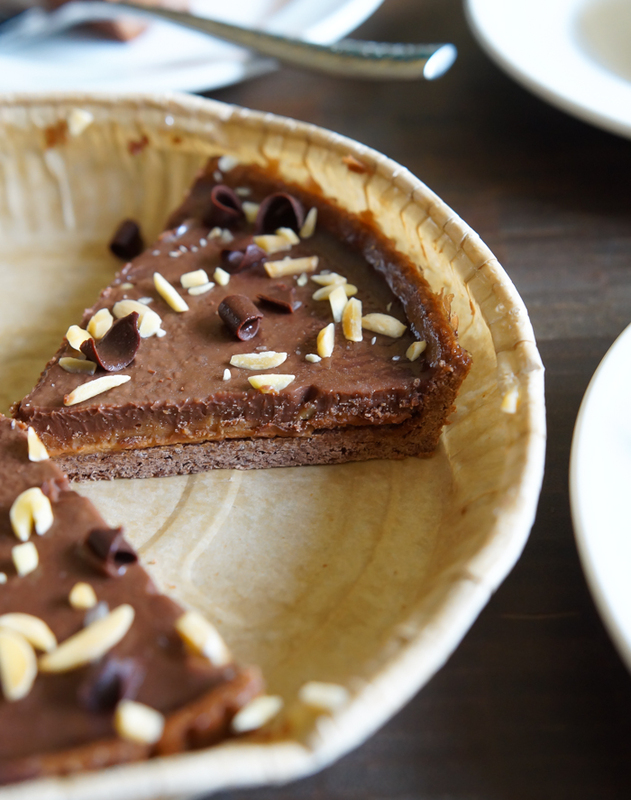 The almond butter layer in the middle was great, and reminded me more of caramel than anything else. Finally, the crust was unlike anything I've ever tasted: it held together perfectly, but yielded readily to the fork... I don't know what to say! It was a new experience in the world of tartes and pies. 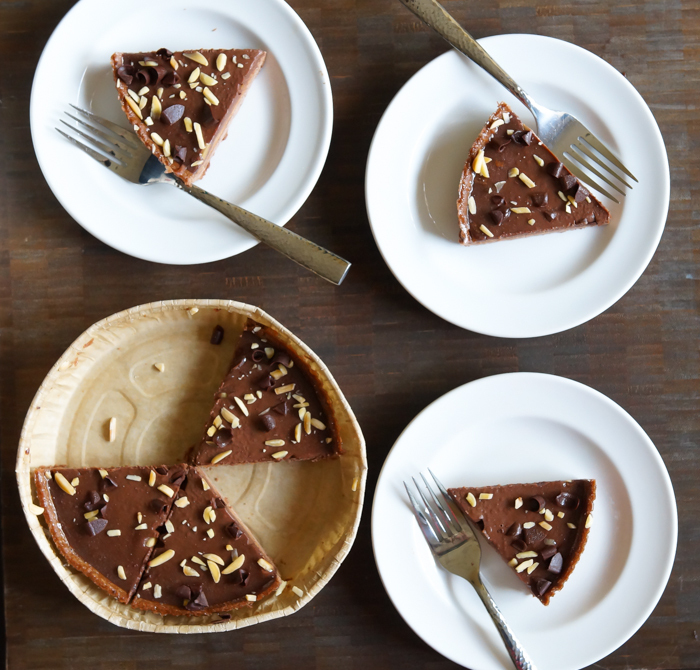 Trader Joe's: Trader Joe's Chocolate Almond Butter Tarte: split decision! Chocolate is always so mesmerizing. I love the foods having chocolates in it. I wanna try this recipe ASAP ! Thank you for sharing. I tend to eat frozen foods pretty cold, even partly frozen, and I did like this a lot the first time - nice almond/chocolate combo. But I just came home from the store and didn't put food away right away, and this had a chance to soften...and I'm an even bigger fan now!